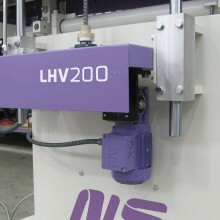 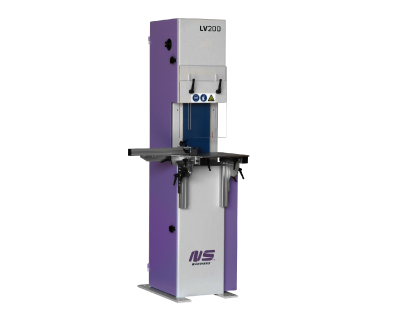 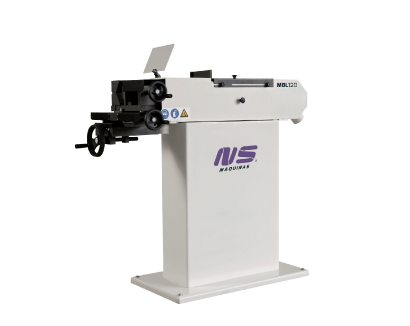 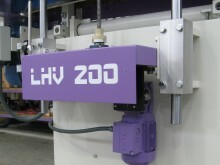 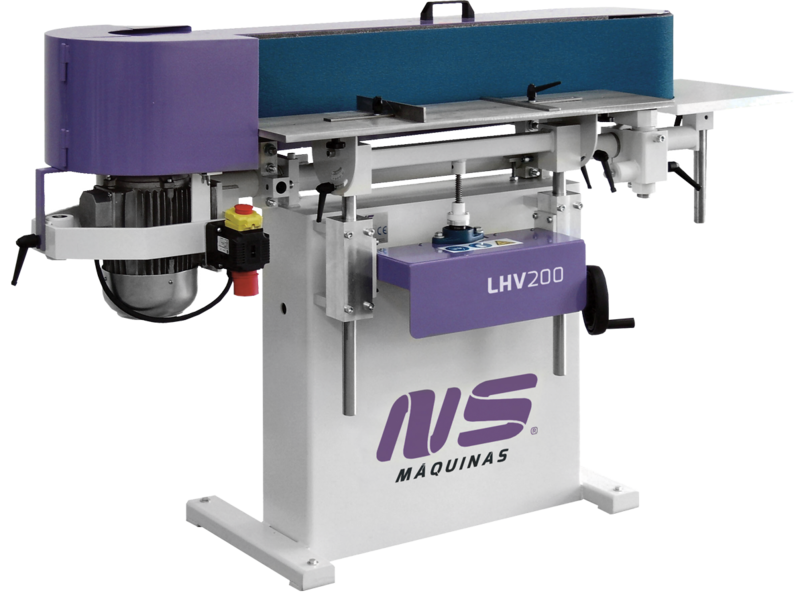 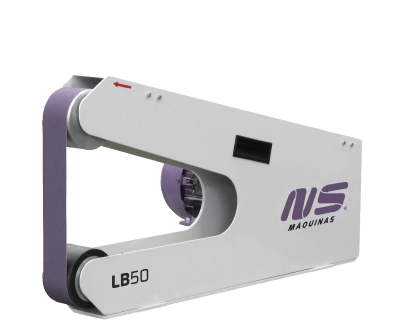 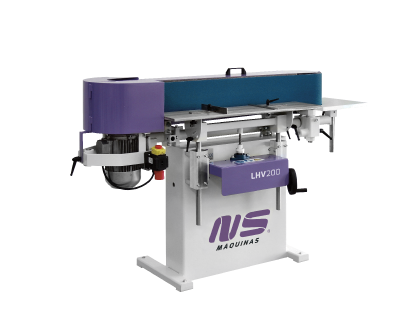 LHV200 is an abrasive belt grinding machine with two working positions. 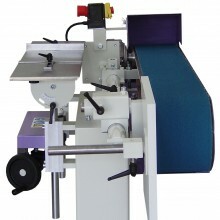 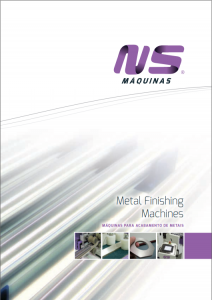 The rotating head enables a proper work either with the grinding belt in the horizontal or vertical position. 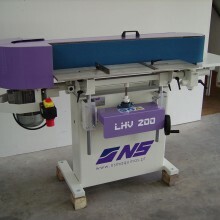 The main table is adjustable in slope and height, while the two side tables are vertically flexible. 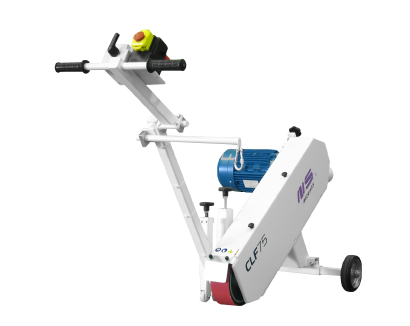 The stainless steel lifting table is adjustable with a hand wheel which enables the use of the complete width of abrasive belt. 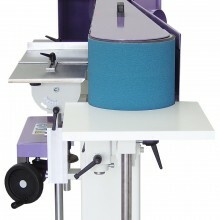 As an option the lifting table can be supplied with vertical movement driven by motor. 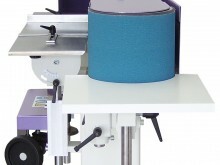 The table will also be automatically and constantly moved from one extremity to the other limit of the abrasive belt at a slow speed, enabling the complete use of abrasive belt. 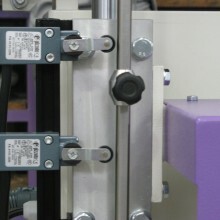 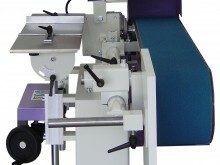 The abrasive belt can be used vertically or horizontally. 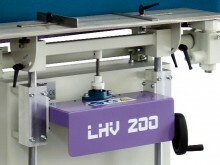 LHV200 with horizontal table position.